HomeBangkokVisit 6 Popular Temples, and Taste the Popular Dessert in Bangkok by the New Scooter! 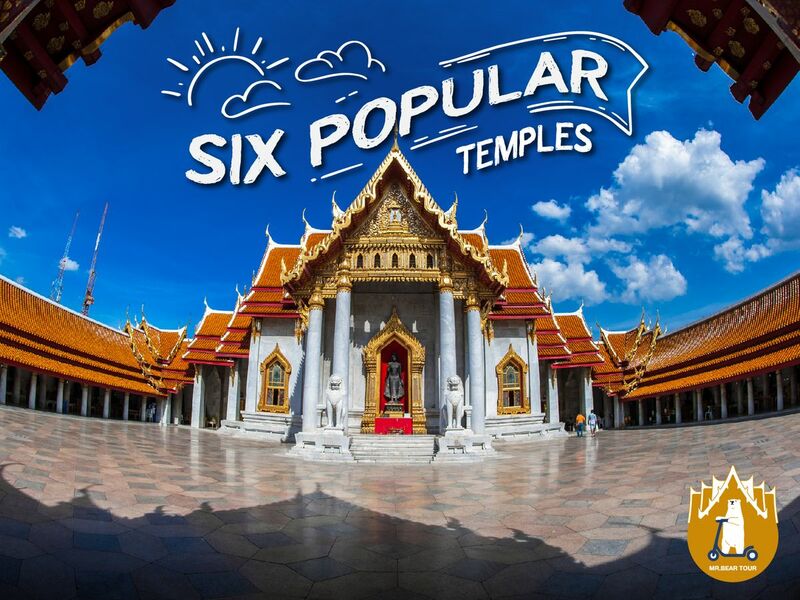 Visit 6 Popular Temples, and Taste the Popular Dessert in Bangkok by the New Scooter! We will be riding electric scooter to go to measure the various temples to bless and watch the ancient architecture of Thailand. Including to visit and eat in the popular dessert shop in the area "Mont Nomsod". Visit Wat Pho, an old temple from King Rama I and it was listed as heritage of the World. Visit Wat Phra Si Rattana Satsadaram or Wat Phra Kaew. Visit Wat Chana Songkhram, built since the Ayutthaya period. Interesting is a 3-story pagoda, a bell tower, and Buddha's relics. And the footprint simulate of the Buddha. Visit Wat Bowonniwet Ratchaworawihan, the splendor of Thai and Chinese art. Wat Suthat Thepwararam Ratchaworamahawihan. Its mural paintings of the 3rd reign of King Rama III, arches and windows are arched to the top of the pagoda. Visit and eat the popular dessert at Mont Nomsod, the most popular dessert shop. I will send you at meeting point. Flowers, candles, or donations if needed. A temple in the center Bangkok. In addition to the beautiful temple, there is also a popular restaurant and dessert in Bangkok. Please wear properly cloths for visiting the temples. I had an absolutely wonderful time with Artit and his partner for the day, Oy. For those who might think "scooter" is a reference to a moped or 150 cc scooter, it's actually one of the motorized Razr-type scooters. It's a total blast to cruise around on the sidewalks and streets of Bangkok on one of these scooters, which go up to 25 km/h. It's way better than taking a taxi or tuk-tuk everywhere. I was picked up at the hotel and taken by taxi to the first temple, after which we visited a slew of temples by scooter. We had a lovely lunch, dessert, and then later another dessert. Artit (and Oy!) were super nice and friendly. They were constantly checking to make sure I was comfortable and enjoying myself. This is a pretty unique travel experience, and I'd certainly recommend it for anyone interested in sightseeing who wants to try something a little different.